Add to this one of the most competitive auto markets in the world and shifting demographics with far more Asian-born residents affinity with Holden's Aussie heritage. a Canadian - pictured right, has been placed with the unenviable tasks of repositioning the iconic Australian manufacturer as an iconic Australian importer. “My biggest challenge is changing people's perceptions, which in many cases is out of date,” he tells AdNews. “It's also about bringing new Australians into the Holden brand that may not have ever had an opportunity to interact with the brand. Harland admits that “back in the day” the badge was really about the rear-wheel drive V8 Commodore. “That continues to be an important vehicle in the portfolio but the rear-wheel drive, or the large car, segment as a whole has declined,” Harland explains. AdNews recently reported the SUV segment overtook passenger vehicles in sales in July and there has also been strong growth for pick up trucks – the days of the Aussie sedan-based ute are, sadly, in the past. Holden has committed to a portfolio of 24 imported vehicles through to 2020. Holden's SUV range are an important part of its portfolio. So how does Holden plan to change its brand perception to reflect the Australia of today without alienating its base? Harland admits there's “no silver bullet” and the car maker doesn't appear settled on a single strategy or market approach, but one thing is clear – the status quo is no longer sufficient, and this statement applies more broadly to a lot of the sameish creative and financial year events that plague the industry. “Buying a car is an emotional thing and we need to evolve to be a lot more customer-driven marketing company,” he says. This requires a careful balancing act of not upsetting the loyal base while adding new products and messaging to a new audience. For example, some of the support for rear-wheel powerful sedans has been migrating to pick-up trucks, and Holden needs to be able to pivot to the 'new' while protecting the 'old'. “We're using different properties to talk to different people,” Harland explains. “They may still love super cars, they may love their sport, and we still have those properties to talk to those people. “Then there's other properties that we're bringing on board. As an example, we are big supporters of the women's AFL. Auto brand sponsorship of sport is not a new or novel marketing tactic, some would argue the space is relatively cluttered. But it's viewed as an important way of engaging with loyal fans who may or may not be in the market for a new car. Research has also shown that car brands can benefit with sales uplifts through loyal fans when they eventually do want a new car, the aim is to plant seeds in the minds of potential consumers, even at an age where cars are more likely to be driven into a sand pit than on the road. 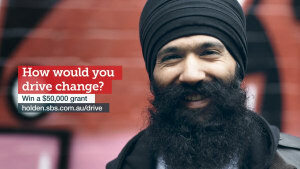 In terms of the diversity piece, Holden began a campaign last year to promote a number of brand 'carstodians' who are prominent Australians from different cultural backgrounds, including actor Claudia Karvan and Vietnamese chef Luke Nguyen. 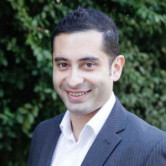 Harland tells AdNews the company views these marketing initiatives as long-term campaigns that aim to present the company as more inclusive of Australians from different geographies, parts of the country and religion. The reaction on social media has been polarising, with consumers either loving the fresh approach or complaining the brand has lost its way and become “politically correct”. Harland says that particular campaign, which also ran on multicultural public broadcaster SBS, has picked up industry recognition and is getting noticed online. 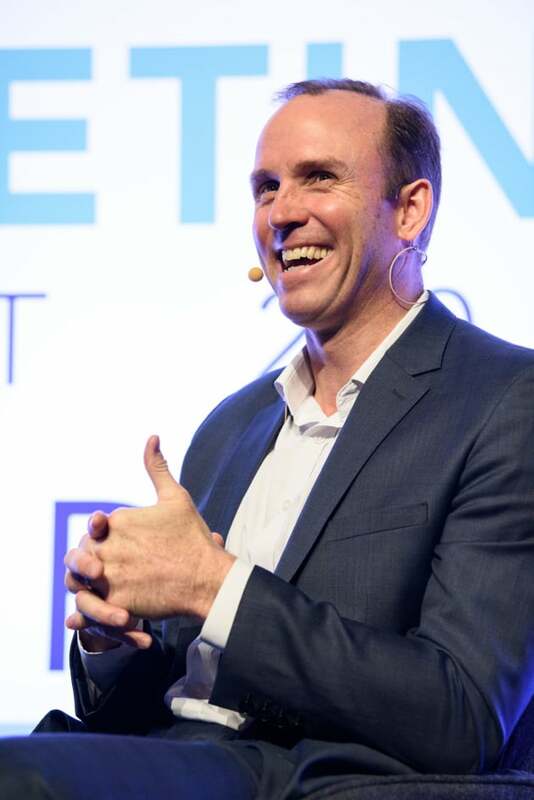 “People are taking note in our social media channels of the things that we're doing differently as a company, that they wouldn't have seen in the past,” he adds. “Does it sell a car today? No, that's not the intention of selling a car today. Will it sell a car tomorrow, now that I've opened up the door to have a conversation with people that didn't necessarily think that Holden thought that way or looked that way? Yes. Another recent move by the company is focusing marketing efforts on women, something Harland revealed would be a pillar of the creative pitch to promote it news SUV range. The Monkeys picked up the business, but the move to market to certain demographics, such as women has been the focus of ad campaigns such as See The Future of Holden (see above). It is also an inclusive move to differentiate Holden from more traditional automotive brands that skewed advertising towards men. “The majority of the SUV ads,” explains Harland in a recent AdNews article, “are really targeting males and are fairly proto-typical in their approach to. This creates “white space”, as Harland puts it, to engage with new consumers in clever ways. “You have to be across multiple channels, it can't just be all TV or switch it all to digital or Facebook or Google,” Harland adds. A shortening consumer journey that has almost shrunk by half in the past four years, the most competitive auto marketplace in the world and well-informed consumers has made it more difficult for car brands to find cut through at the right time. Ultimately, the aim for Holden is to convince consumers to visit its showroom or take a look at one of its cars at an event or shopping centre. This was reflected in its Colorado City Truck Swap campaign (see above). “Since we are an old established brand versus some of the others, what’s important is getting people into our products – 'bums into seats' as we like to say,” Harland says. Harland says it will take time for Holden to shift perceptions and that it’s very much a long-term play – “one sale at a time” ­– that requires nuance rather than shouty creative for the masses that ignores Australia’s rich diversity. “You've got to be smart about it. Take diversity, that's not for everyone in Australia, so let's not try and jam it down everyone's throat with one big broad campaign,” he says. “So let's look at what resonates with specific people and let's communicate to them directly versus trying to take a broad message and going across the traditional customer base. It also means striking the right balance between short-term sales and investing heavily in long-term brand rebuilding, a difficult task in the current environment but one that will define how iconic Holden remains. Holden is using cultural identities like rapper L-Fresh Lion to appeal to new Australians. 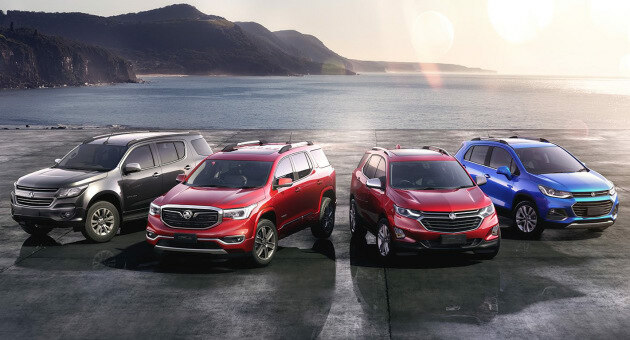 Holden is overhauling its brand focus to reach out to a broader range of consumers and position itself more as an SUV car manufacturer that is friendly to all Australians. Last Friday, Australia's most iconic car brand shuts the doors of its Elizabeth plant in South Australia for the final time, effectively ending 69 years of Australian-made car manufacturing. During its peak in the mid-Noughties, the plant was producing 780 vehicles a day, led by the VY Commodore. In more recent years production slowed to 175 cars per day as the General Motors subsidiary transitioned towards being an importer of overseas vehicles. In Holden's heyday, it was 'Australia's own car' – famed for its powerful V8 engines and quintessentially Aussie utes – in a battle with its great rival Ford, and later Toyota, for the hearts and minds of the working and middle classes. Since those peak years, times have been tough and business case for change has been apparent for several years. Holden's once prized Commodore only sold 1,633 units in July, which is well below market leader Toyota Hilux ute (3,742) and the highest selling passenger vehicle, the Toyota Corolla (3,208). A raft of reasons have contributed to Holden's demise, including the global financial crisis (which nearly sunk parent company GM), an unsympathetic federal government, a gradually declining large car segment and the decision by other local manufacturers Ford and Toyota to close the doors of their own production lines, impacting the domestic supplier market.